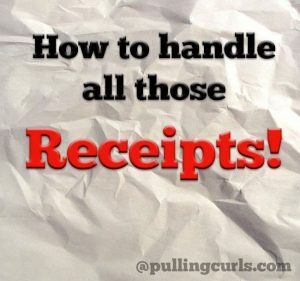 How to organize receipts so they are all in one place, and available when you need them. 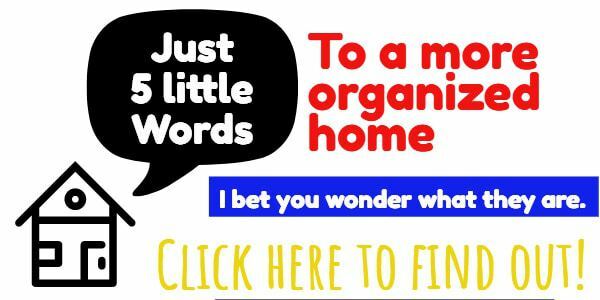 You are here: Home / Household Tips / Organization / Organize Receipts! Problem: Tiny papers were taking over my life. I had no system of what to keep and what to chuck. I felt overwhelemed. So. MANY. SMALL. PAPERS. 1. Have receipt spindle. That way all my receipts go on there. It doesn’t matter if it’s an online order, gas, whatnot. 2. When that gets full, I just transfer them to a ziplock and put the date that I made the ziploc and throw them in my filing drawer. I have room for about 3 bags of receipts, and then I chuck the oldest bag. 4. I only save receipts that I used a debit card on, or can possibly returned. If it’s fast food and I paid with cash I chuck it. I mostly save the debit/credit card receipts so that I can disput any weird charge. 5. My super-fancy ziploc system has me keeping them about 3 years. It has saved my bacon a few times. Sure, it’s not the most organized system that anyone could make, but it works and by dating them by the date that I took them off I have a vague idea where to start when I need a particular one. How can these tiny papers rule our lives? I guess money is kind of tiny, and my debit card is even smaller…. Do you have a receipt system? I just recommend finding SOMEWHERE to put them, so they are floating around waiting to combine strangle you one day. 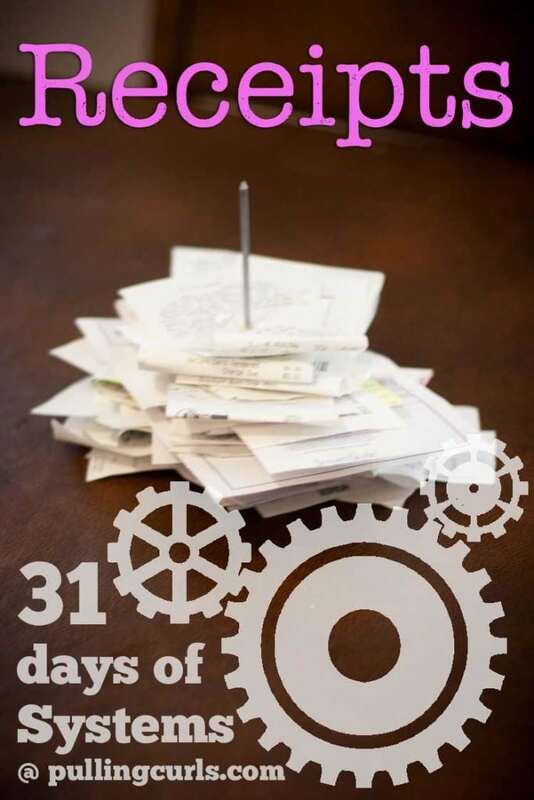 My momma is a receipt keeper – she gets home, writes down the information in her ledger book, and then puts the receipt in the correct month in her filing cabinet. 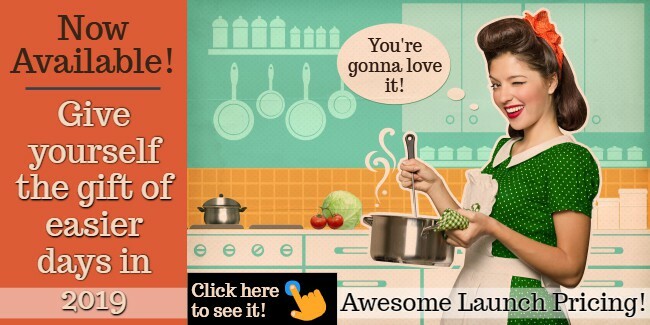 Beyond that, I’ve no idea what she does with them! I only keep receipts for important things. If it’s the groceries or gas (pretty much 95% of what I buy), I kepe the receipt till I get home (and can do the fuel point survey!) and then chuck it. I write the total down in my expenses section in my planner, and double check my bank account every few days. Receipts I do keep are my student loan payoff letter, large purchases (for example, the camcorder we got last week), and anything to do with the Drs or Vet – all of which are filed with the rest of that kind of paperwork. My receipts go in a photo box that sits atop the fridge. It has labeled, tabbed index cards to separate the most frequent stores shopped and then a few misc categories. Any new receipts get tossed on top of the box and then filed inside the box once a week. That way, they are in date order and easy to find. YIPES! That’s REALLY organized! And yes — i love the alibi story! I do a similar system, although with envelopes. I date the envelope when I start and when it’s full and file in back of a drawer for about 2 years. I keep a separate one for COSTCO. Oh, my we shop there way too much!